Disclaimer: An earlier version of this story noted that Todd's father skipped out on the family early in Todd's life. I have since been contacted by his family, and it turns out Hilary "Frenchie" Sampson was a pretty swell guy who didn't abandon anybody. Disclaimer over. 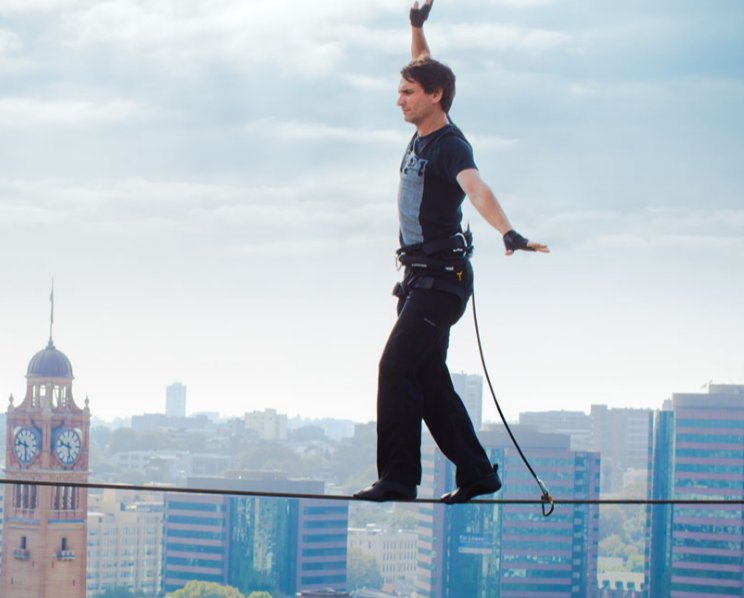 Todd Sampson has been ranked as one of the most influential men under 45 by Men's Style and was nominated for GQ's Man of the Year Award. He has been the CEO of one of Australia's largest media companies, and won a CEO of the Year Award twice. He's regularly featured on ABC television's media review program, Gruen Planet, for nothing more than his opinion. He is the co-creator of the Earth Hour Initiative, and he is an award-winning science documentary creator. 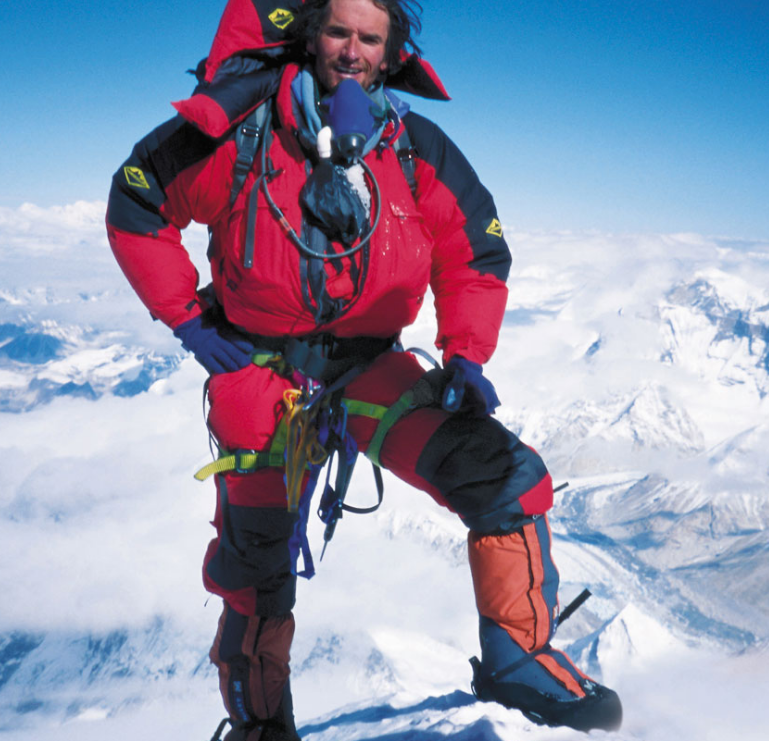 He also climbed Mount Everest. He was born in Sydney, NS, and I only know one person on this island that has ever heard of him. I also kind of hate him a little. I've written a fair bit about famous Cape Bretoners in the past, including handless Oscar winners, blood-crazed WWI heroes, shovel-wielding medical trailblazers, and one of the most brutal and effective NYPD cops in history, but here's the thing about Todd Sampson that makes him different from all those other stories. He's alive. It's difficult to be jealous of dead people. 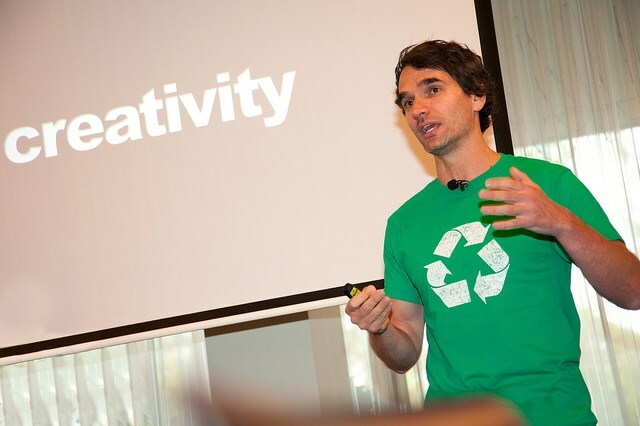 I don't want to be dead, but unfortunately, I do want to be Todd Sampson. Fortunately, there are tons of YouTube videos of him getting beaten up or tortured in various ways to make me feel better about myself. Like this one! Oh great! He's also intensely likeable! He also almost exclusively wears T-shirts. Here's one of my favorites. Yup. 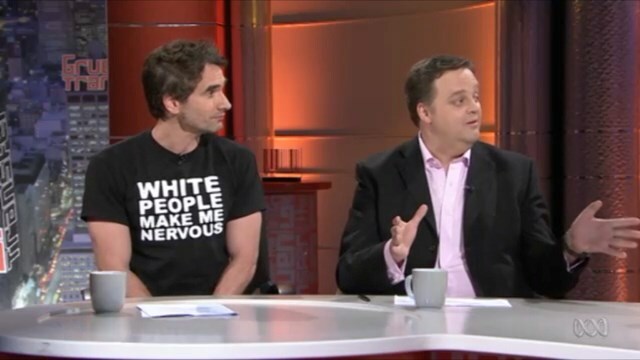 That's one of the most influential executives in the world, wearing a T-shirt that says "8 1/2 inches" on National Australian television. What's 8 1/2 inches Todd? Your foot? Todd Sampson was born in Sydney, Nova Scotia in 1970, when his father drove over the railroad tracks while on the way to the delivery room in their '67 Chev. Boom-Boom POP! Out comes Todd. His parents worked hard to make ends meet, with Hilary "Frenchie" Sampson working at the local Coca-Cola plant, loading sugar into vats as his mother fried up chicken a the local KFC. There was no silver spoon for Todd. He was raised in a government-owned townhouse that he had to leave through the window when the snow piled too high. Like many youth in Cape Breton, Todd Sampson's early life consisted of petty crime, drugs, and "bombing out in school." At 11 years old, he was breaking into the same coke machines his stepfather was paid to fill. At 12, he passed out drunk and rolled under a police car. Like many of us on Cape Breton, it was a miracle he survived past 14. By that time, three of Todd's closest friends had already died. Luckily, in grade 7, an aptitude test showed that Todd was functioning at a near genius level, at a time when his grades were floundering. This is where Todd got competitive. This was when Todd decided to take on the nerds. Todd was already a nerd. He just didn't know it yet. At 16, Todd became an A student, and at the insistence of his teacher "Wild Bill McKenzie" (at a time when teachers were called "Wild Bill McKenzie"), Todd applied for and received a scholarship to United World College at 16. United World College totally sounds like some sort of cult brainwashing centre, but it's a real organization of colleges in more than 150 countries, with short 2-year programs that give students a global perspective and applicable life skills. Don't worry if you haven't heard of them. Neither had I. So Todd left Sydney at the age of 16, wandered around the world getting a BA in economics and biology at Queen's University in Ontario, then an MBA at the University of Cape Town, South Africa. He then worked in Cape Town for awhile at an ad agency. Then he came back to Sydney. Oh, wait.... the OTHER Sydney. 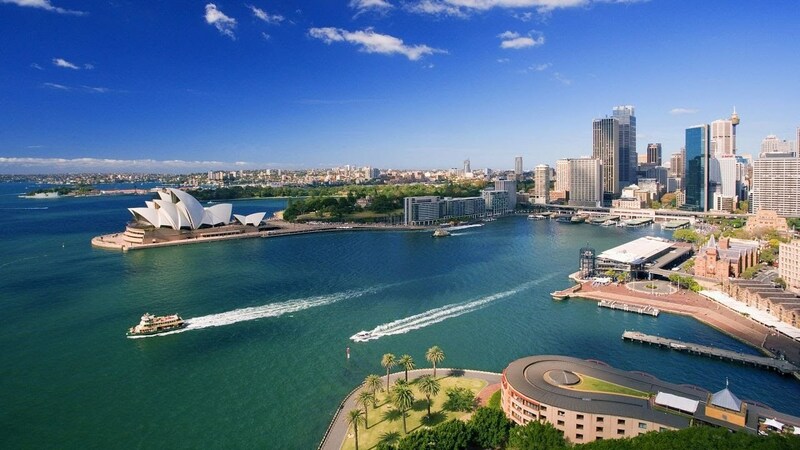 Why would anyone want to live in THAT Sydney, when they could live in OUR Sydney! Australia stole our Todd! First they play football wrong, then they flaunt their wacky animals in our face, and then they steal our Todd. Not cool Australia! 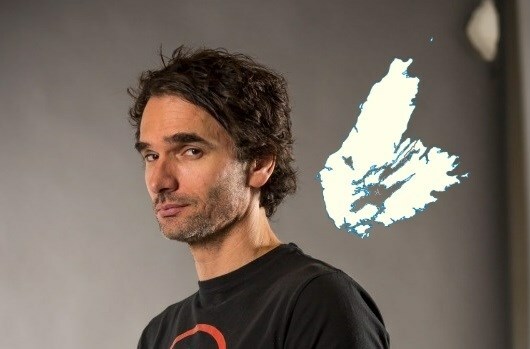 And this is the reason few people, if any, know about Todd Sampson in Cape Breton. Because he's not famous in this Sydney. He's famous in the other Sydney. The Sydney with the Opera House. The Sydney that's warm all the time. The Sydney everybody thinks about when you say Sydney. The Sydney with all the attractive people. They don't know it yet, but we're totally winning "The Biggest Fiddle" competition. Todd was hired by Leo Burnett Sydney in 2002, which is an ad agency specializing in modifying human behavior. I suppose that's what every ad agency does, really, but it still sounds pretty creepy. Apparently Leo Burnett knows how to spot a winner, because Todd quickly moved up the ranks to become the CEO. It was too bad for Leo Burnett that Todd choose to leave the company in 2015 to be professionally awesome. So he made a television show! Todd is the host, co-writer, and producer of "Redesign my Brain", a documentary series where Todd travels around the world doing amazing things, and gets paid for it. Follow Todd as he competes in the World Memory Championships, escapes chains in an underwater Houdini stunt, and climbs a 120m rock face blindfolded. Todd gets all these amazing opportunities because people like watching Todd do stuff. He also gets to shoot squash balls at samurai. I didn't even know I wanted to shoot squash balls at samurai, but now I do. Still though, I bet if you asked Cape Bretoners, "Which one of these guys is from Cape Breton", 9 outta 10 of them would point to Todd. 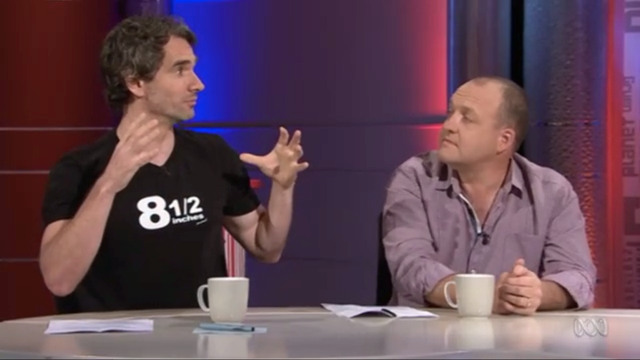 These days he's working on his new show, "Todd Sampson's Body Hack" where he attempts to make his body as powerful as his mind. The first episode just came out, where Todd attempts to use science to prepare for a cage fight in two weeks. You know, as much as I like this guy, I sure do enjoy watching him get punched. You can see it here: Episode 1. This guy could have the most epic Tinder profile ever. When Todd's not making TV shows and money, he spends his time on more relaxing endeavors, like a completely unguided ascent of Mount Everest. C'mon girls. You know you would swipe right. But don't get too excited. Todd's a married man with two little girls named Coco and Jet. You might be wondering why he named his daughters after chocolate and airplanes. Well, he's a world class ad man, like Don Draper in a T-shirt. The guy knows how to name stuff. Don't question the Todd. He also co-created The Earth Hour Initiative, one of the most successful environmental movements in history, with more than 1.4 billion people observing it every year. Yeah, a guy from Cape Breton came up with that. And if you're thinking he's too big for this place, he's not. He comes back. He was here 2 summers ago, but nobody knew about it, because nobody knows who he is. The only reason I knew he was here is because my brother, who lived in Australia, met him in the Tim's up by the Lick A Chick. He was just hanging out with his family, totally unnoticed. My brother got star struck and probably acted like an idiot, and nobody was the wiser. You might have thought Ashley MacIsaac or Natalie MacMaster was the most famous Cape Bretoner alive. Maybe even Linden MacIntyre for those of you who still watch the news. Well, I think you're wrong, because I'm pretty sure it's Todd Sampson. I still kind of hate him though. One more T-shirt for the road! WOW, yet another think Wild Bill did. I had him in grade 10 and 12 and he changed my life too. I never knew him as a person, but I sure would love to know more about him. I think his buddy John Shaw the math teacher, is still here with us... might be wrong about that. Ha ha! I'm watching him right now on Australian tv. We love Tod! Great article. He is on Twitter as well. Nice article and also inspirational! Great article, the writing is my favourite! Great job there buds!